Altra Founder Golden Harper met with RoadTrailRun at Outdoor Retailer to present the brand's Spring 2019 introductions. 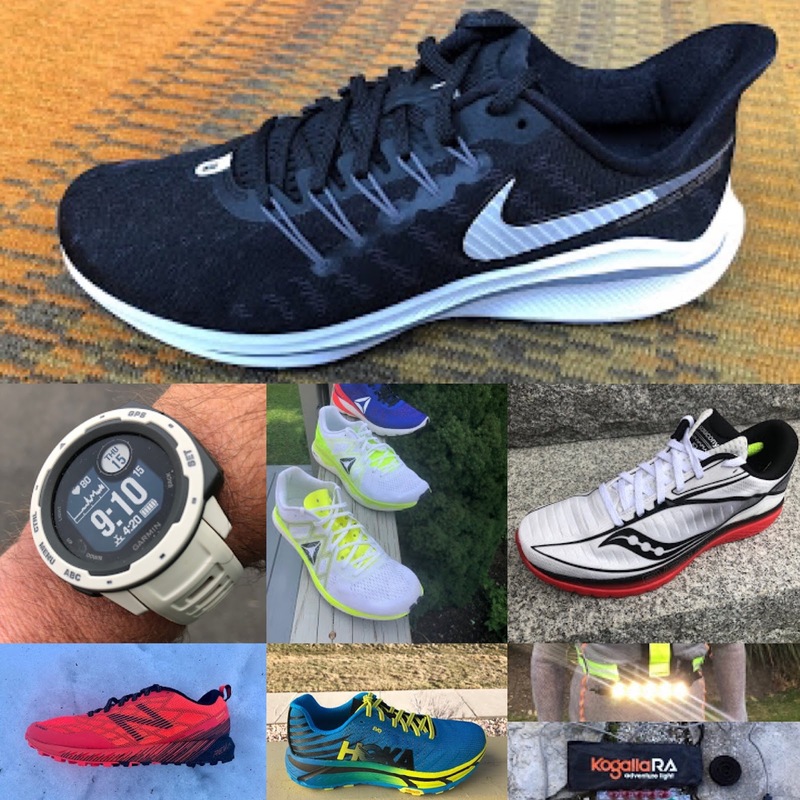 Most notably Altra introduced a new light performance trainer, the Kayenta and a lighter Superior 4.0, both with a new Quantic midsole. Quantic combines in its foam the firmer response of Altra's Max-LT midsole found in the Duo with some of the bounce of the EGO midsole found in the Escalante. Paradigm, and King MT. The Kayenta was the road star. At about 7 oz with sock liner, this decently stacked-23mm shoe front and back, light shoe is the new Altra choice for longer races, tempo and triathlon. Essentially, the Kayenta slots in between the Vanish-R and Duo for those wanting a firmer more responsive light weight ride and as a long race, tri, and tempo option The Quantic midsole combines Max-LT firmer responsive characteristics with some of EGO's bounce. It is about 2 oz lighter than the bouncier EGO midsole 24mm stack Escalante 1.5 and the about an ounce lighter than the about equivalent stack Escalante Racer both with the bouncier EGO midsoles. For 10K the Vanish-R is the choice in the line and continues. The One does not appear to continue. The two piece upper is very stretchy engineered mesh with the A-Strap mid foot support system first found in the Torin 3.5. The upper is designed for very easy on and off, so great for tri and to accommodate different foot shapes. We expect the Kayenta to be the top Altra choice as a marathon racer and up tempo shoe for those seeking a firmer and responsive ride with a touch of bounce in the mix. The Superior 4 comes in considerably lighter, losing more than 1.7 oz from the official weight of 9.6 oz (without sockliner) of the 3.5 (RTR review), largely we think due to its new Quantic midsole. The Superior will become the faster, lighter Altra trail option. 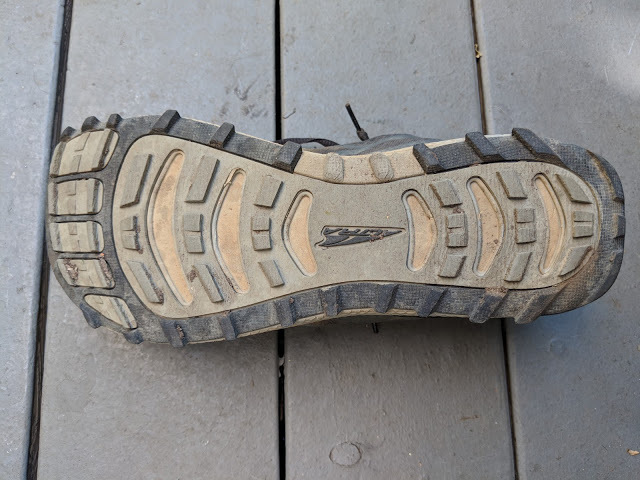 It is a soft shoe (see video below), softer than 3.5, and is designed to conform to terrain to smooth the ride over rocks yet is protective due to its full removable 1mm Stone Guard plate. Previously, it was near in weight to the Lone Peak with 4mm less midsole stack. The outsole changes to a new sticky rubber MaxTrac outsole with it appears a more aggressive profile. 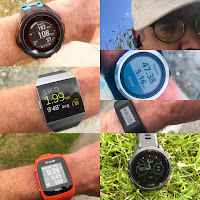 We really enjoyed the Timp 1.0 for is broad on the ground feel but its upper overdid volume and was to unstructured with tenuous foot hold when the going got more technical;. The Timp 1.5 gets a more form fitting performance oriented fit upper with more structure to the mesh and improved durability. As with the Superior the midsole is softer. It get the sticky MaxTrac outsole. It loses about an ounce in weight. 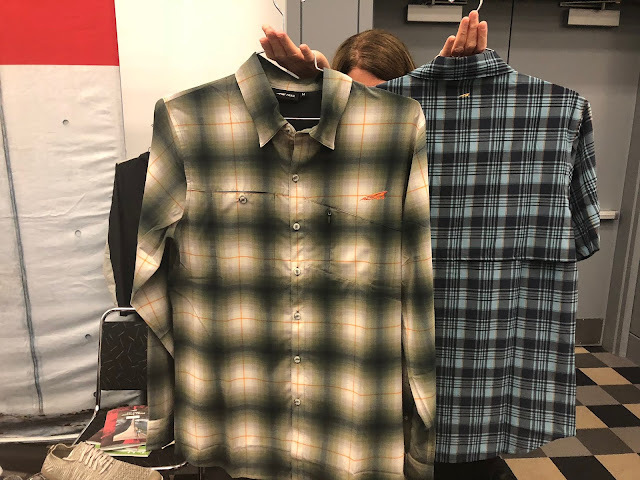 We were awfully jealous of Golden Harper who sported prototypes of the upcoming Trail Running Button Up Shirt. The front zip pocket includes a sunglass cleaner. Available in long and short sleeves this classy piece is made of very light breathable technical fabrics with the back a lighter more breathable fabric with venting. On the casual front the Vali for women and men is joined by the Dyani for women. The exposed EGO midsole is topped with a sock like knit upper. I am looking forward to the Kayenta and the Superior 4.0. I love me Escalantes. I am litte bit concerned about the midfoot upper in the Superiror 4.0. I do not know when I have seen a stichted upper in performance running shoe? Especially as it reaches so far forward, that it could irritate the foot in the forefoot push phase. Geez guys, couldn't hear Golden in either of the video clips! Totally useless. When interviewing, point the mic at the person talking. Kayenta vs Solstice? They seem to fit a similar spot in the line up. Glad to see the superior is losing some weight. Excited to try the new foam. Ego turned out to be too soft for me. Stoked to see the new Timp 1.5 updates. It looks like the upper is now reinforced with thin welded on overlays. 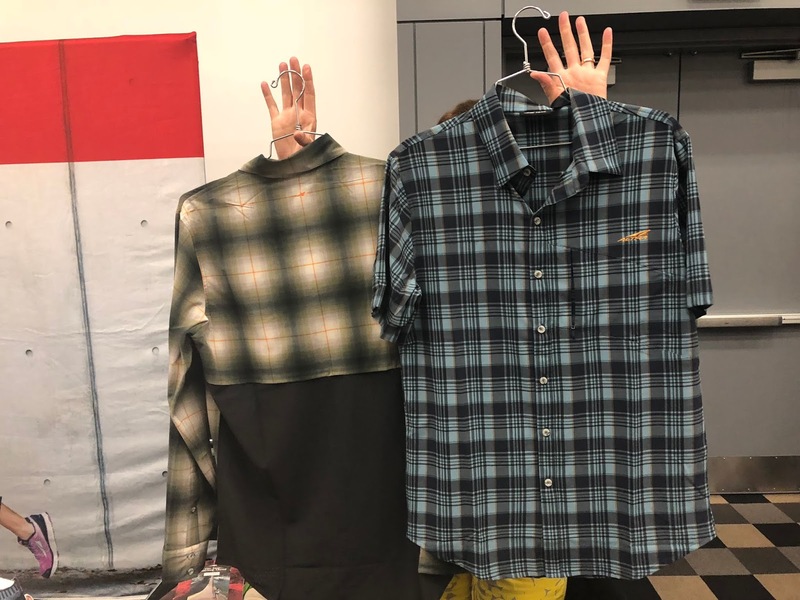 Did they look sufficient in person? I’m concerned that without going the way of the Lone Peak and Olympus with stitched on heavier overlays, they’re still going to blow out prematurely. Do you know the planned release date for the Timps? The upper itself is now a more conventional mesh rather than fabric like. 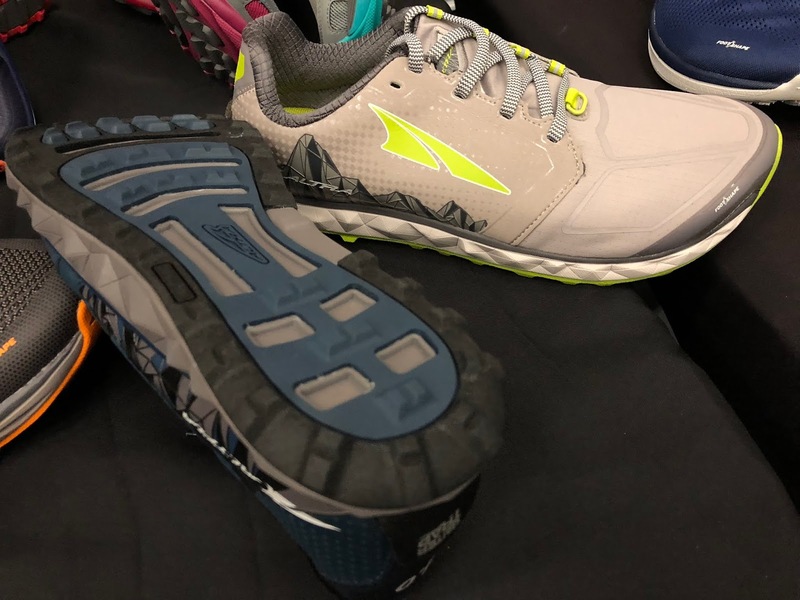 The last is changed to a less voluminous fit, performance fit but still Altra Foot Shaped.These two things should help with upper durability more than the overlays. As far as release date Altra said Spring 2019 so early in the year but I will find out more precise dates if I can. Thanks for reading! Those all sound like improvements to me. Great work guys! It'll be interesting to see if the new midsole on the Superior will not go flat at what I have felt to be between 400km (3 pairs of experience). After that its dead and unresponsive, very disappointing. Hopefully the upper won't rip at the flexing point. Looking forward to the 4th iteration of this model!